"There are worse than spirits, here." On the edge of the Old West, a mercenary tracks a wanted man across the former frontiers of America. Spirit of the Frontier is the thirteenth short production by Wingless Films, and is set in the American Old West. Directed by Jim Elton, the story follows mercenary Edmund Cash (Tom Menary) as he tracks a wanted man across the frontier during the last years of the Wild West, and his encounters with a native tracker (Annie Knight) and a mysterious figure (Allister Gall) in the heart of a Sacramento forest. 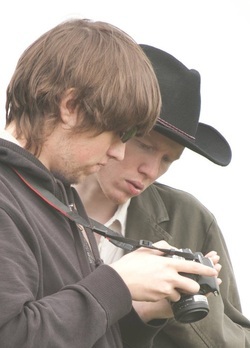 Pre-production on Spirit of the Frontier began in early April 2011, though the concept of a western dated to March 2011, with ideas of a revenge story that would follow a gunslinger's quest to track down a victim across the American West. A rough draft of the script was completed on the 4th of the month. A revised draft was completed on 25th April, and was used as the final shooting script for the remainder of the production. The film went through several titles, initially referred to simply as "The Western", before briefly adopting the titles Frontier and Spurless—the latter a riff on "Wingless Films" and the preceding release, Wingless. The original script cast the Tracker—referred to as "Native"—in a more sympathetic light, with no suggestion that she had offered Cash a poisoned water bottle. Cash's backstory was expanded between drafts, incorporating dialogue referring to his past as a traveller, as well as lines concerning the destination of his target. Additionally, the confrontation with the Spirit was expanded to incorporate a brief fight scene. 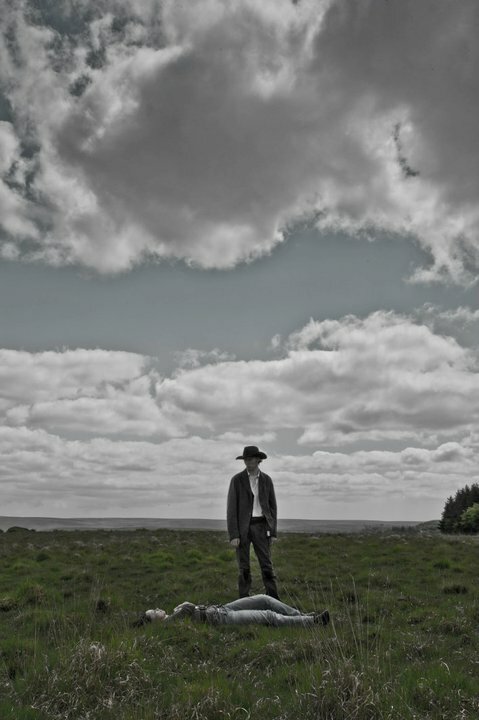 The first location scout was carried out on 20th April, 2011, around the Burrator Reservoir in Dartmoor. Locations such as the site of the confrontation and the reservoir itself were finalized, and the fight between Cash and the spirit was blocked out and practiced. A second location scout was conducted on 2nd May, 2011, with all locations finalized, and Cash's opening fall down the hillside practiced. Teaser posters for the film were created on 26th April, 2011, with several variations, and included the tagline: "Legends Don't Die". 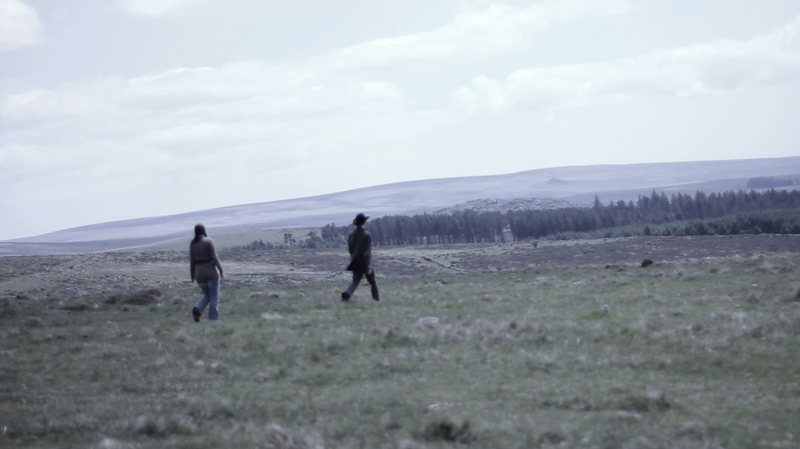 The first day of filming was carried out on 9th May, 2011 in locations around Dartmoor. The opening scene, in which Cash walks the plains, was completed. 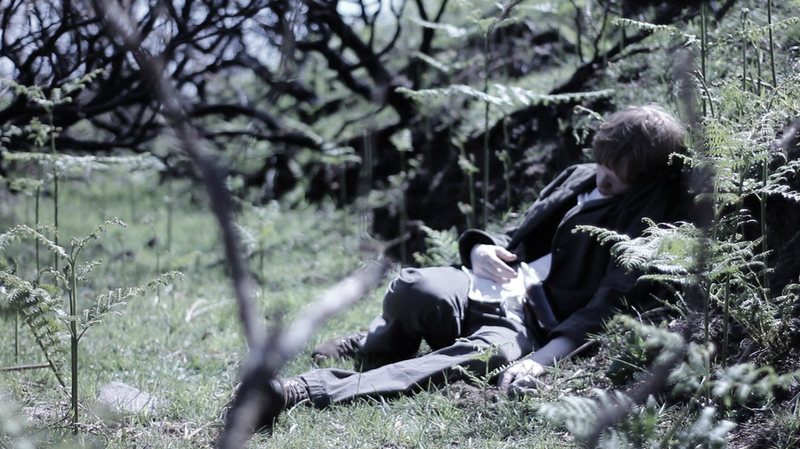 Footage from the shoot was featured in the second installment of Tom's Blog, an online video diary for the production. The following day saw the addition of Annie Knight to the cast, in the role of the Tracker. Her meeting with Cash was filmed, and several stills from the film were released. An additional day's shooting took place on 19th May, 2011, part of which was documented by Devon photographer Mike Kinsey. His photos were later released on facebook. The final day's shooting took place on 25th May, 2011. The confrontation between Cash and the mysterious figure played by Allister Gall was filmed, as well as the final scenes. A teaser trailer was released on the same day, featuring shots from early portions of the film, and "Welcome to the Frontier (The Trailer Music)". The music cue was uploaded along with two other "preview" tracks ahead of the final score, which was composed by Tom Menary. Its central theme, "The Wanderer" is heard throughout, along with themes for the tracker ("Yanaba's Theme", heard during the lakeside scene) and a motif for the spirit (heard over the Wingless Films logo and prominently during the final confrontation). A cover of Townes Van Zandt's "Waitin' Around to Die", by Håkon L. Tandberg, was initially intended to play over the final scene and end credits, though it was left unused due to copyright concerns. The final track was named in honour of the song. Spirit of the Frontier was released on 30th May, 2011.